The Minnesota Boychoir, through inspirational music and performance, develops exceptional character and musical ability in boys of many backgrounds. We nurture boys to find their voice and become leaders of the next generation. Founded in 1962, the Minnesota Boychoir is the oldest boy choir in the Minneapolis/Saint Paul metropolitan area. 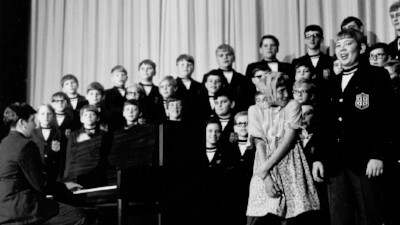 The Boychoir’s reputation for excellence has brought invitations from local and national music conventions as well as sporting events, local theater productions and touring Broadway companies. The Boychoir has performed with the Minnesota Orchestra, the Minnesota Opera, the Saint Paul Chamber Orchestra, the Baltimore Symphony, the Prague Philharmonic, Garrison Keillor’s A Prairie Home Companion on National Public Radio, and a long list of local and national performers. During the 2017-18 season, our choirboys share the stage for the first time with the Shoreview Northern Lights Variety Band and have return engagements with the Minnesota Orchestra, Sweet Adeline’s City of Lakes Chorus, Partners in Praise Girls Choir and the American Composers Forum. We will share our music at several prominent church music concert series’ and gather with other boychoirs from around the state for the 5th Minnesota State Boychoir Festival. Our Spring Tours have us traveling to Rochester and Litchfield, MN, and Winnipeg, Manitoba, Canada in the summer of 2018. The choir’s schedule includes national and international tours, thrilling audiences in sixteen states and on five continents. 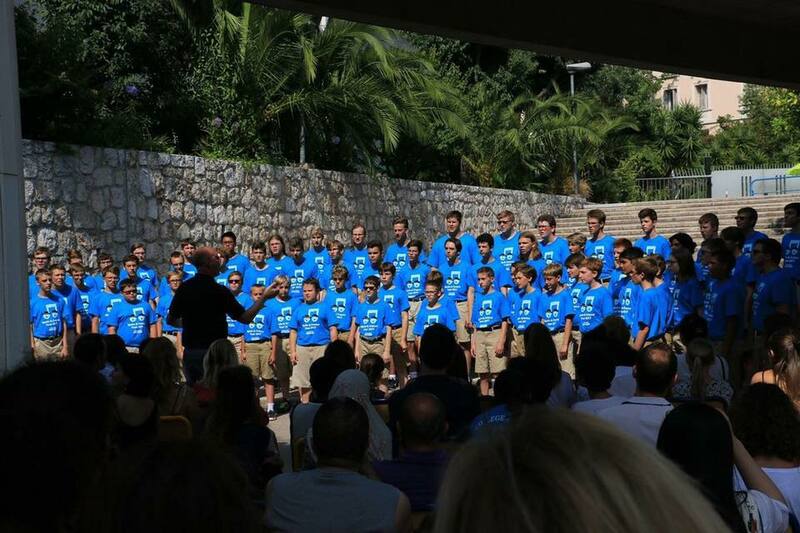 The boys headlined the World Voices Australia International Choral Festival at Sydney’s famed Opera House in 2007 and in celebration of the choir’s 50th Anniversary, toured Italy in 2011, which featured a performance for Mass in Saint Peter’s Basilica at the Vatican. The choir sang at Monserrat Abbey and La Sagrada Familia in Barcelona, Spain to celebrate its 55th Anniversary in June 2017. Today, as a model organization for the training, education and performance of young voices, the Minnesota Boychoir has four core ensembles and several outreach programs to its credit. The choir’s vast repertoire includes challenging sacred, classical, secular, folk and contemporary choral music sung in more than 30 languages and dialects. The organization also boasts well over 150 singers ages 6-18, from more than forty communities throughout the Twin Cities metropolitan area. Each season, they spend hours in rehearsal, build community through music retreats and tours, and perform up to 30 concerts in churches, hospitals, schools, retirement homes and convert venues across the globe. The Minnesota Boychoir trains young men to be outstanding musicians and strives to help them develop a sense of poise and self-confidence through education and performance. A choirboy is challenged to sing well, stand tall, stay on schedule, take pride in his appearance, respect those in charge and tap into the best part of who he is and what he can accomplish. The Minnesota Boychoir is a federally recognized 501(c)(3) nonprofit organization.